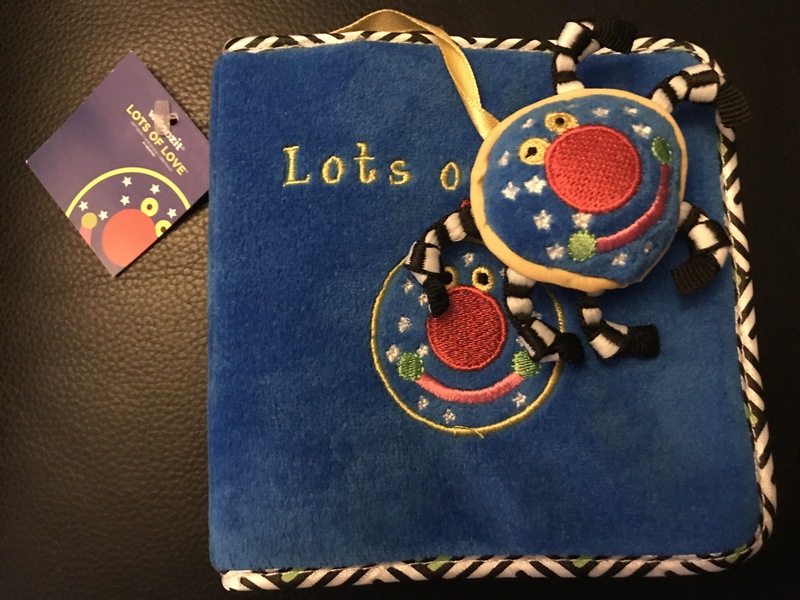 At first glance I had thought the Lots of Love Book from Manhattan Toy, one item from this month’s Bluum Box was a special version of the Itsy Bitsy Spider. 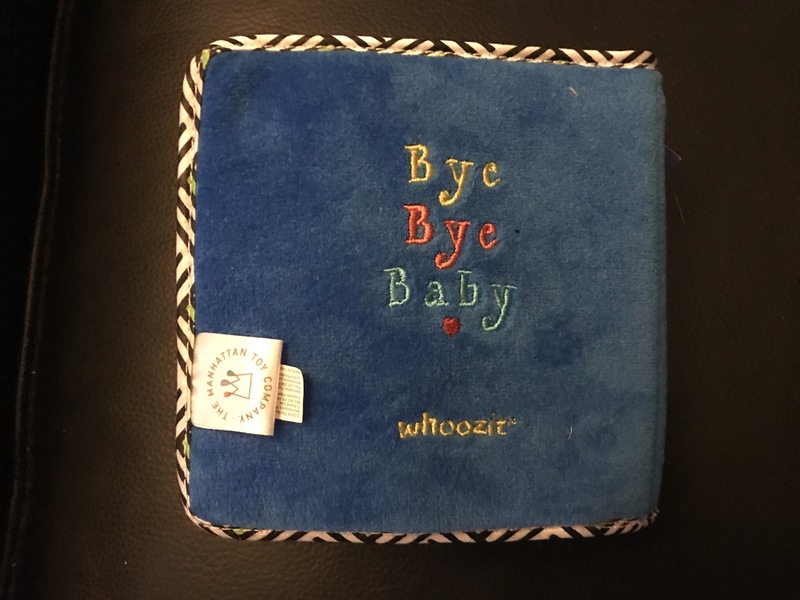 As this was a favorite song already to song to William, I was especially excited to get it in book form. However, after looking through the pages the book clearly had another story contained within. 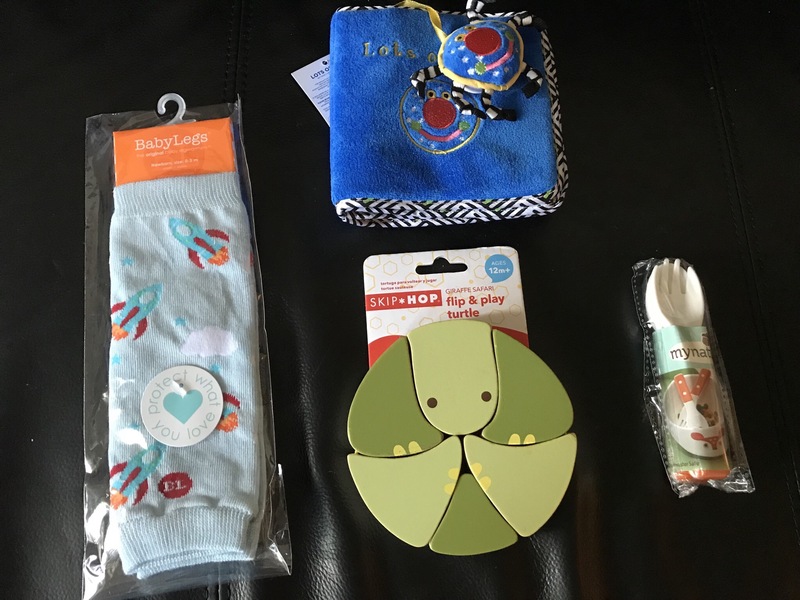 I was especially excited to get the Bluum package this week as it was the first one I was receiving after finding William’s gender, so it was in my Bluum profile that I’d had a boy. This was also the first month that I chose the alternative box, preferring the featured item, the fold up wooden turtle (ages 1 year+) to my suggested featured item (a rainbow rattle), as so far William has shown no interest in rattles despite having a beautiful furry bunny one from Candy. The box was billed as being for kids 0-3 months, yet another item, organic utensils, would be useful when he is 6 months at the earliest, yet it is a great item, so it’s fine with me that two out of four items were for a much older child, as my mom would say, he’ll grow into them. 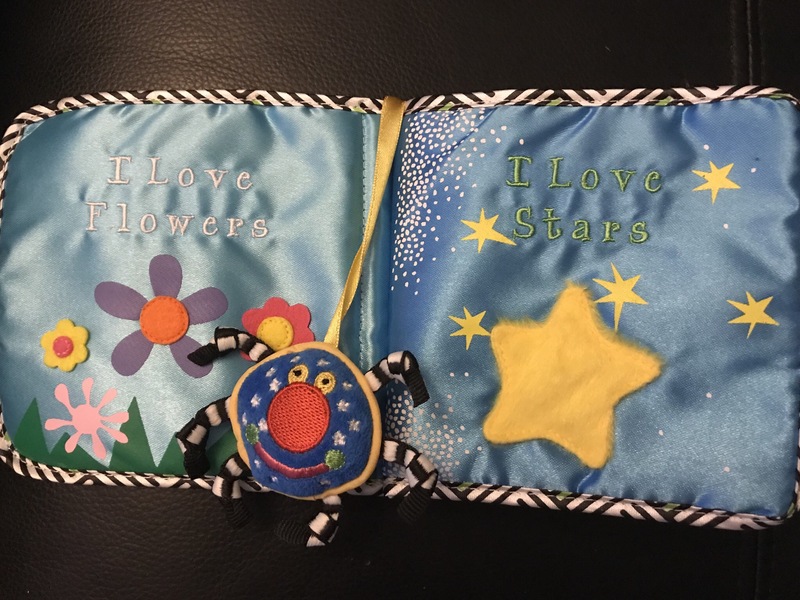 The book is very soft and suitable for young hands to touch and grasp. I’ve read the book to William, and so far he looked at the pages only a bit, so touch will most likely be the sense he uses in conjunction with it the most. 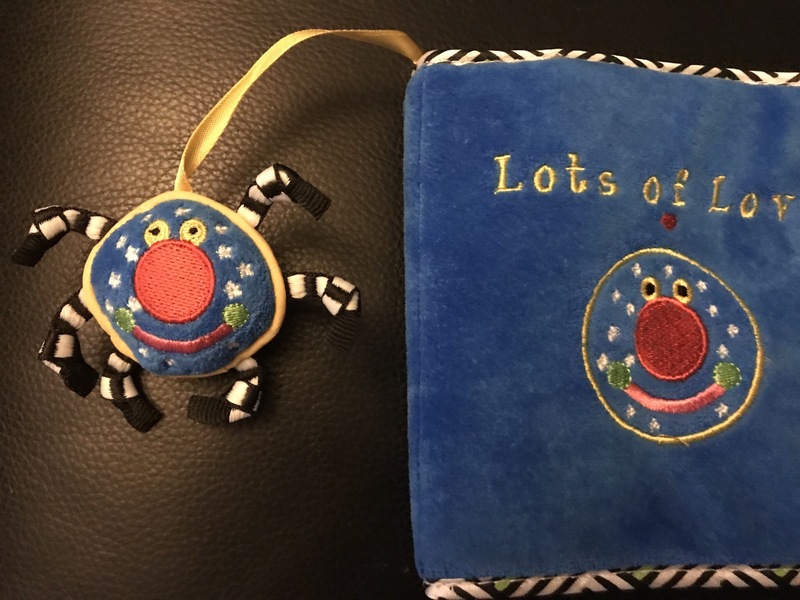 This lovable bookmark is, as far as I know, supposed to be a spider, hence my original confusion. 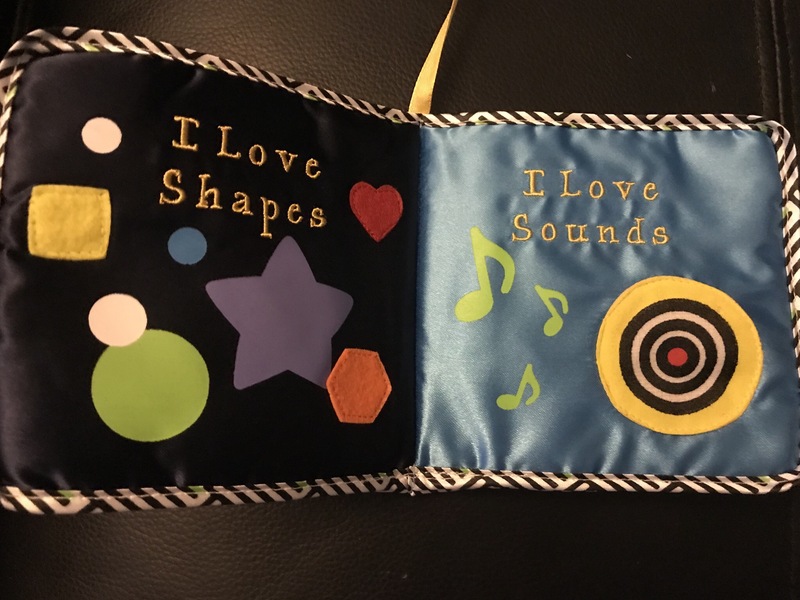 Inside each page has a simple positive phrase, beautiful colors and at least one part William and other kids would like to touch texture wise. This next page confused me a bit. I kept pressing and pressing on the target and other parts of the right page to get a sound. If it’s meant to play one, the book sent to me is defective. If not, I’m confused about this page, and my guess is a child who can read the words or understand them being read to him would be as well. 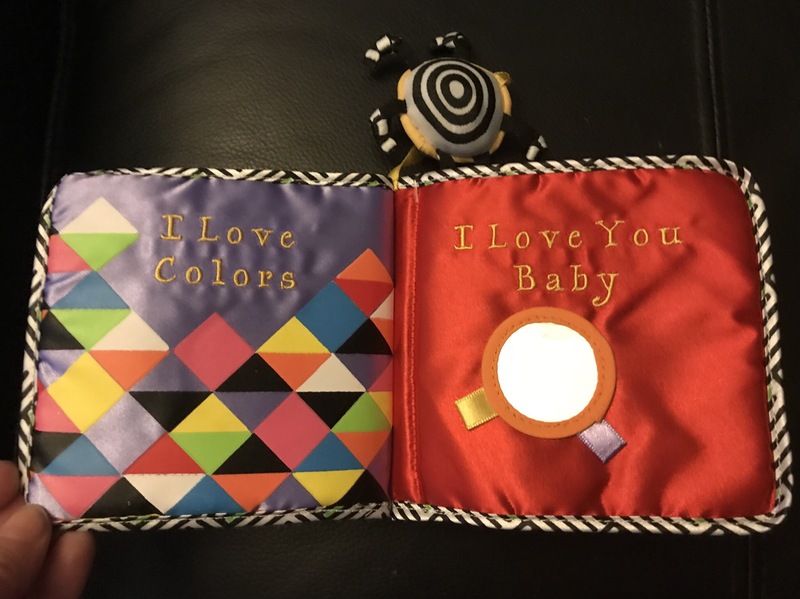 The last pages are my favorite, with the stacked colors and mirror to show baby his or her own face. I’m a tiny bit concerned the mirror could break fairly easily, however, this may be just the overly cautious nature of a new parent. The bookmark back shown here also has a target pattern similar to that of the target above. Kids will love having this story read to them time and time again and may even join in themselves at some point. The objects are interesting if a bit concerning due to confusion (target on the sound page) and as they could break with no way to fix (the mirror). Still, this is a great overall book I’m glad to add to William’s library.